Agriculture is the No. 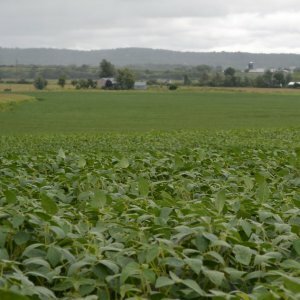 1 industry in Pennsylvania, and animal agriculture plays a major role. The sale of livestock and poultry products accounts for nearly 70 percent of Pennsylvania’s farm income. 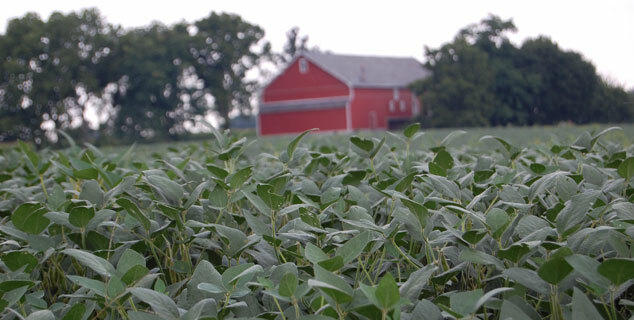 Animal agriculture consumes 98 percent of the meal from the annual U.S. soybean crop. Pennsylvania ranks 14th in the nation in soy meal consumption. This soy meal goes to feed Pennsylvania chickens, cows, hogs, turkeys and other animals. Soy meal can also be used as feed in aquaculture. A recent study funded by the United Soybean Board (USB) and soy checkoff took a look at current U.S. supply and demand for poultry and livestock products and the impact of regulations on retail price. The study, titled Consumer and Food Safety Costs of Offshoring Animal Agriculture, shows consumers could pay as much as $16.8 billion more every year for meat, milk and eggs if regulations result in 25 percent higher input costs for U.S. poultry and livestock farmers. These regulations could also reduce the value of U.S. exports by $1.1 billion and cause 9,000 Americans to lose their jobs, according to the study. The Pennsylvania Livestock Association’s mission is to develop and conserve the full agricultural and soil resources of Pennsylvania by promoting the production and maximum usage of cattle, sheep, swine and horse industries within the Commonwealth. The Pennsylvania Pork Producers Council is a nonprofit organization that represents and advocates on behalf of the state’s hog farmers. Through the utilization of funding received by the national Pork Checkoff, the PPPC provides consumers with information about the nutritional value, versatility and preparation of pork. Additionally, the Council provides education and resources to assist producers in providing a safe and wholesome pork product while upholding their commitment to animal well-being, the environment and their communities. The PennAg Swine Council provides a council structure to Penn Ag Industries Association’s members who are involved in the swine industry in Pennsylvania. By serving as a resource to members for information and education on issues relating to public relations; animal health; and legislative, regulatory and environmental responsibility, the council is able to assist the entire industry in being a viable and productive segment of agriculture. Additionally, the Swine Council works closely with the Pennsylvania Pork Producers Council (PPPC), the state checkoff funded organization representing pork production. 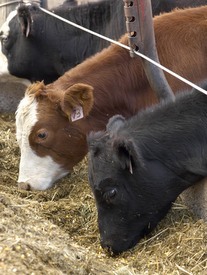 The Pennsylvania Beef Council is a nonprofit organization working on behalf of beef, dairy and veal producers in Pennsylvania; the state ranks ninth in the nation in the number of beef cattle and calves sold. Mid-Atlantic Dairy Association is one of 19 state and regional promotion organizations working under the umbrella of the United Dairy Industry Association. They are the local affiliate of the National Dairy Council®, which has been conducting nutrition education and nutrition research programs since 1915. Headquartered in Philadelphia, Mid-Atlantic Dairy Association is supported by more than 7,500 dairy farmers in the Mid-Atlantic region through the national 15-cent dairy checkoff program. The Center for Dairy Excellence provides valuable information to help producers and consumer make better decisions in your role as a stakeholder in Pennsylvania’s dairy industry. Producers and Industry Professionals will find tools to help improve on-farm profitability, while Consumers and Policy Makers will find information on the value of dairy in Pennsylvania and what producers provide to our state. Educators will find resources to teach children about dairy. The PennAg Poultry Council is a communication and advocacy tool for the poultry industry in Pennsylvania. 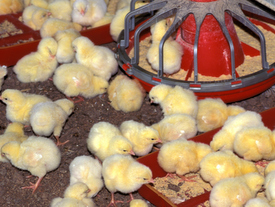 The council represents growers, integrators, processors, hatcheries, equipment, feed companies, vaccine companies and advisers for everything from broilers to turkeys to gamebirds for the conventional and live bird markets. The American Egg Board is the U.S. egg producers’ link to consumers by communicating eggs’ nutritional and economic values. As the egg industry’s promotional arm, AEB strives to implement a results-oriented marketing program that achieves success through national marketing initiatives. Representatives of PennAg Industries Association and the Pennsylvania Aquaculture Association (PAA) created the PennAg Aquaculture Council. The PennAg Aquaculture Council currently has more than 20 members who represent a majority of the aquaculture production in Pennsylvania’s nearly $9 million aquaculture industry.